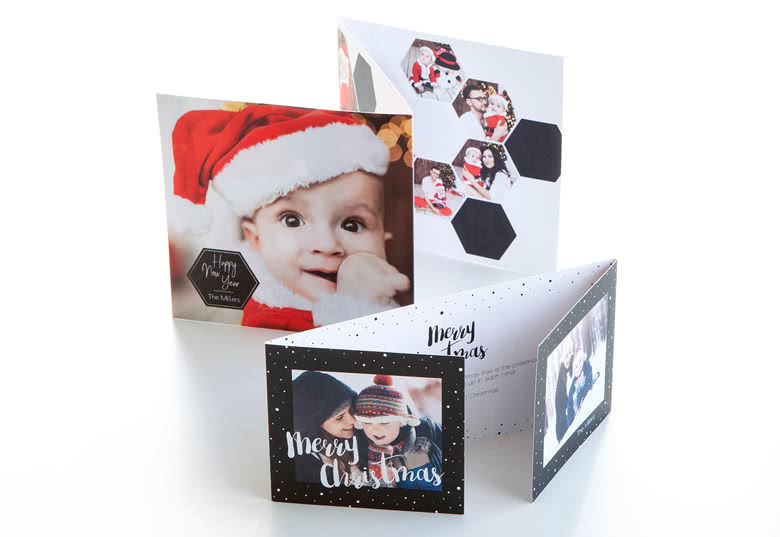 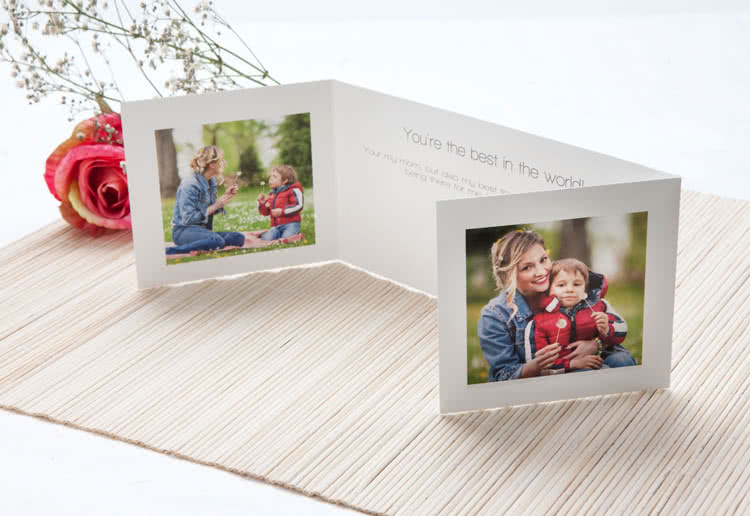 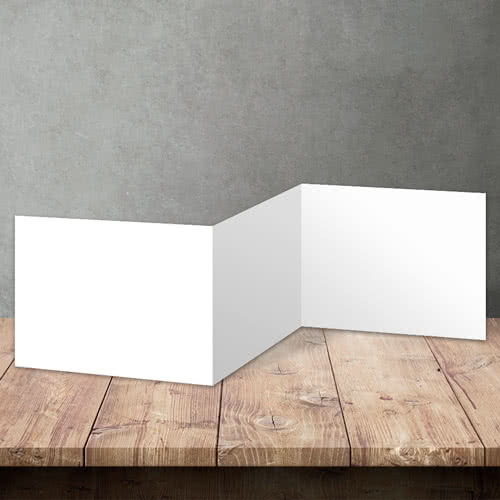 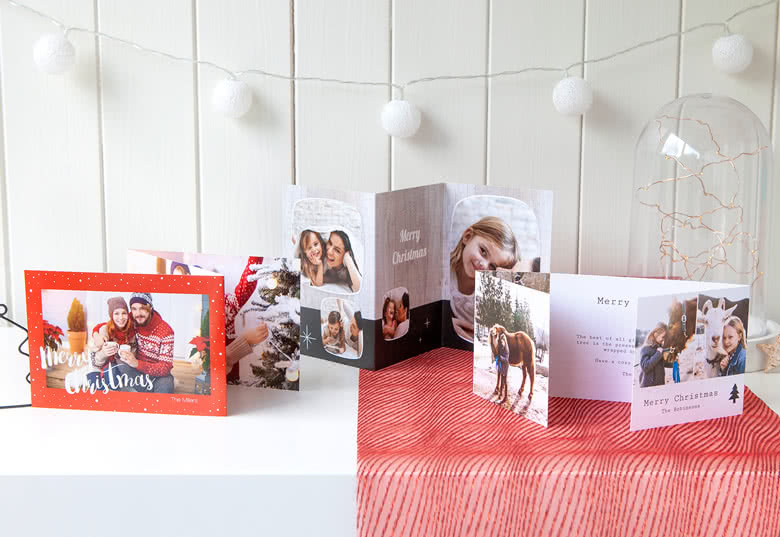 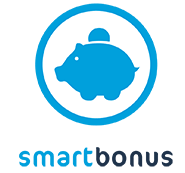 Create Double Folded Cards at smartphoto. 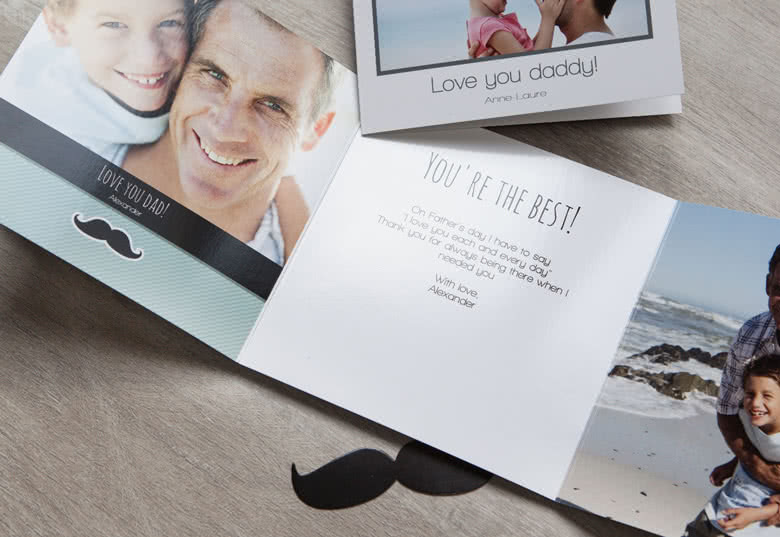 Your photo and text on 6 pages. 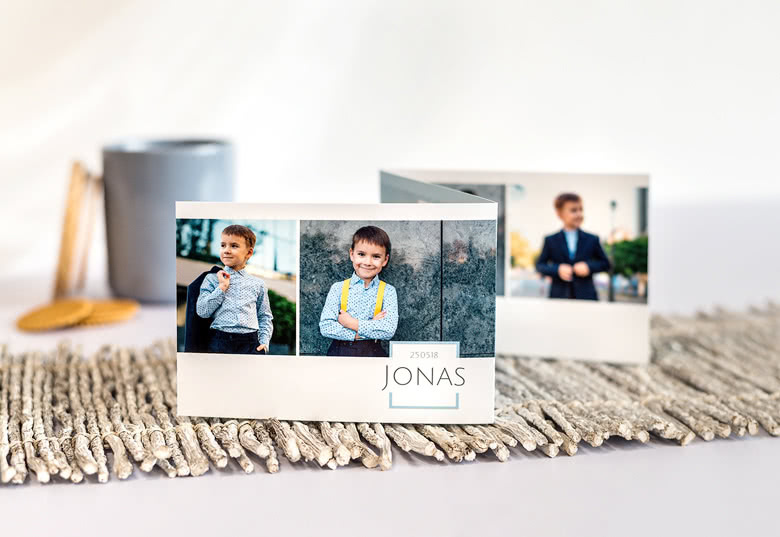 A very special occasion deserves an extraordinary Invitation Photo Card. 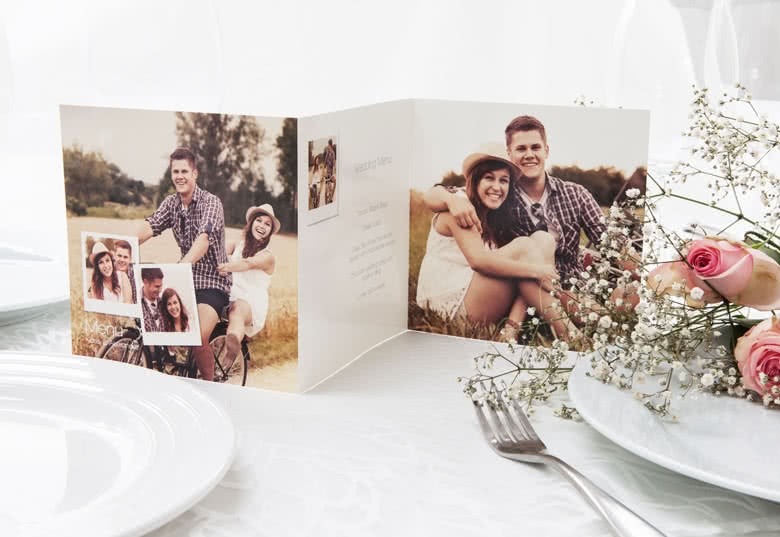 Make your wedding invitation card really attract attention with this personalised Double Folded Photo Card. 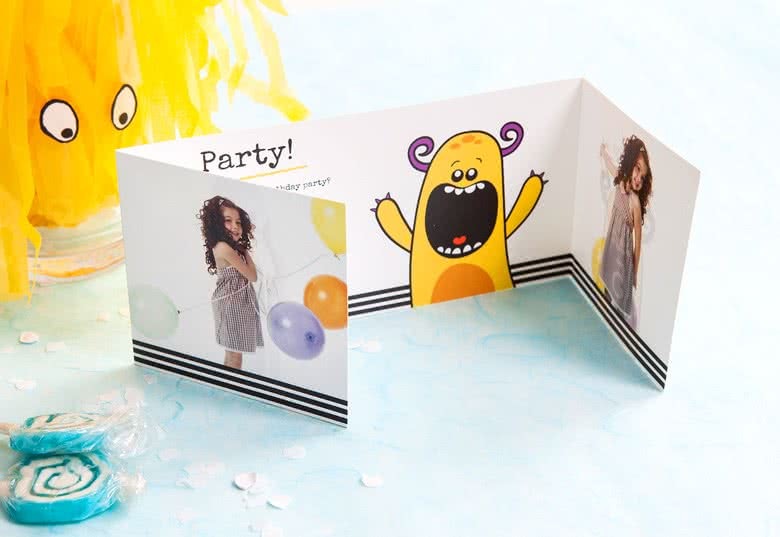 Or create a surprisingly playful baby thank you cards. 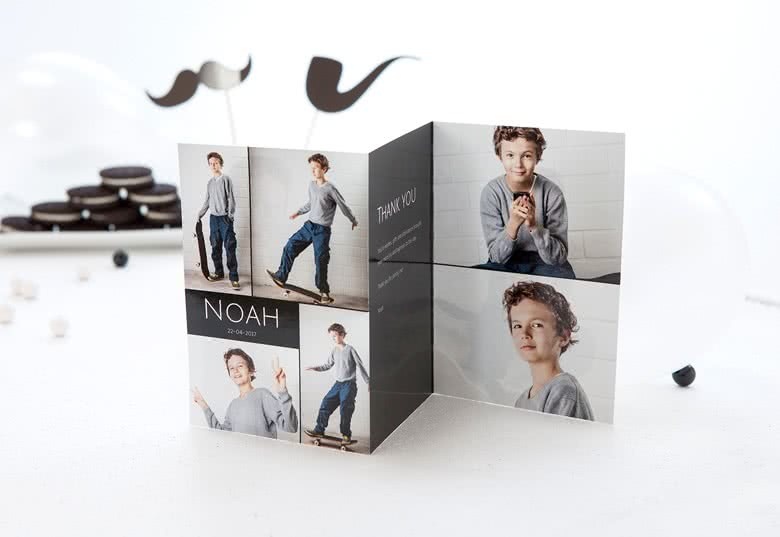 For themed parties complete your table setting with a menu card in the same style. 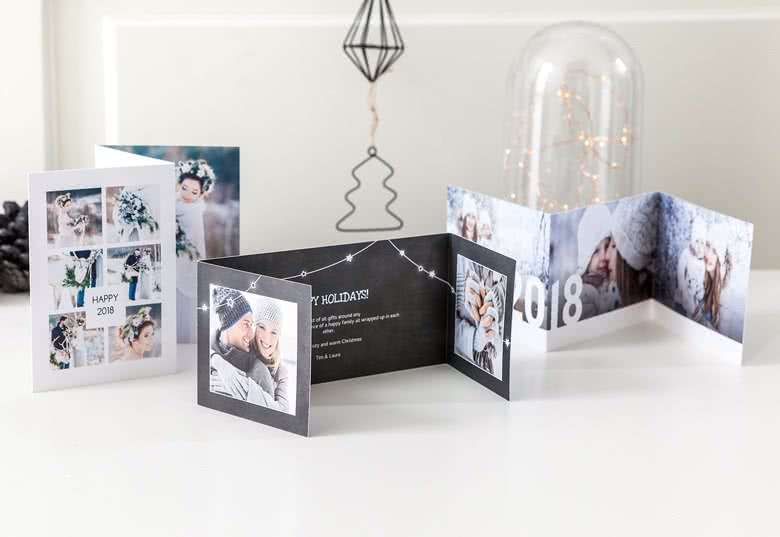 These cards come with free matching white envelopes. 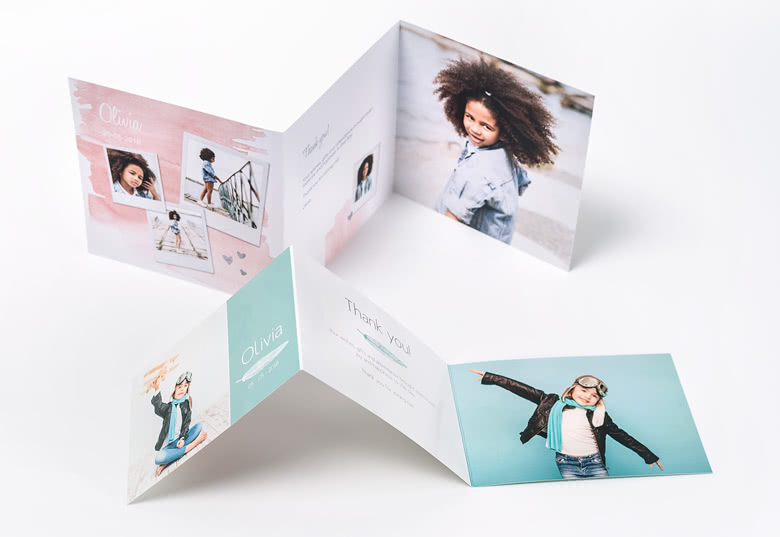 You can give your card an extra touch of fun by selecting an option after the creation of your personalised Double Folded Card. 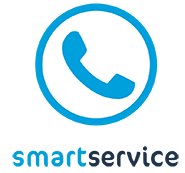 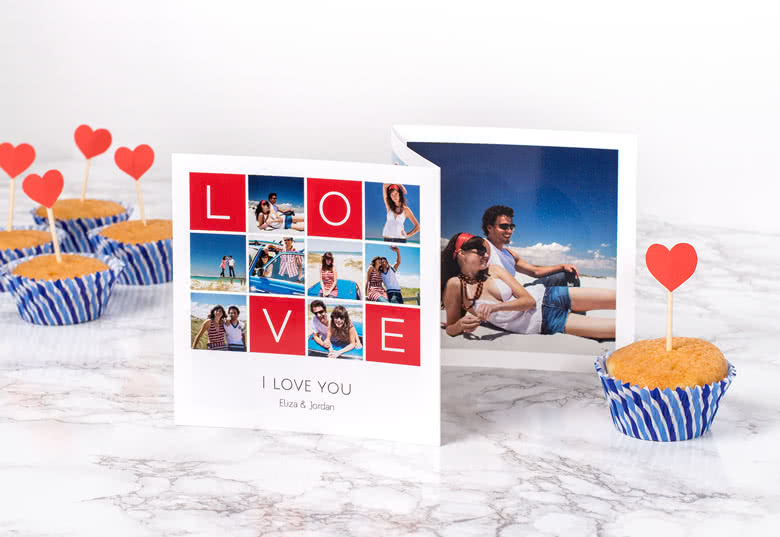 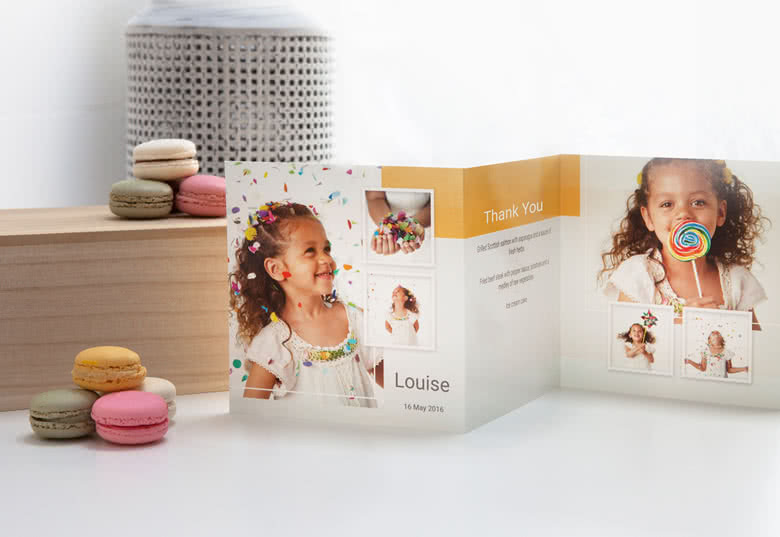 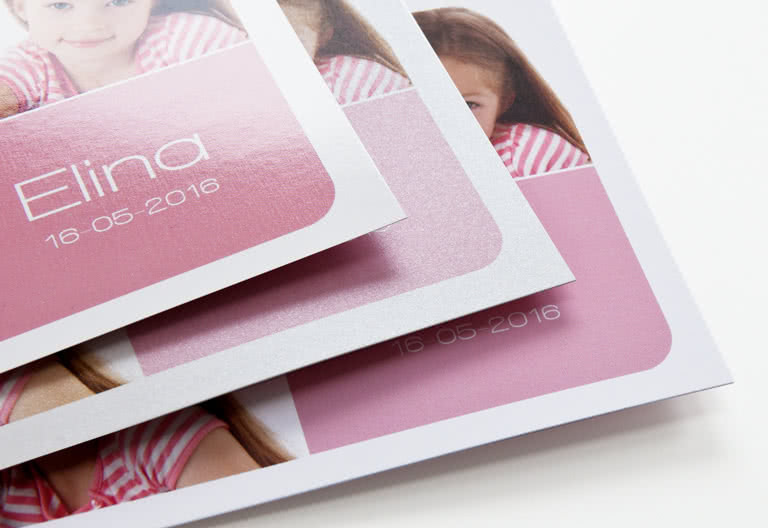 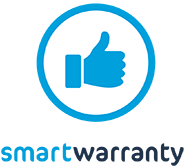 We know personalised Photo Cards, at smartphoto you can find a Photo Card for every occasion. 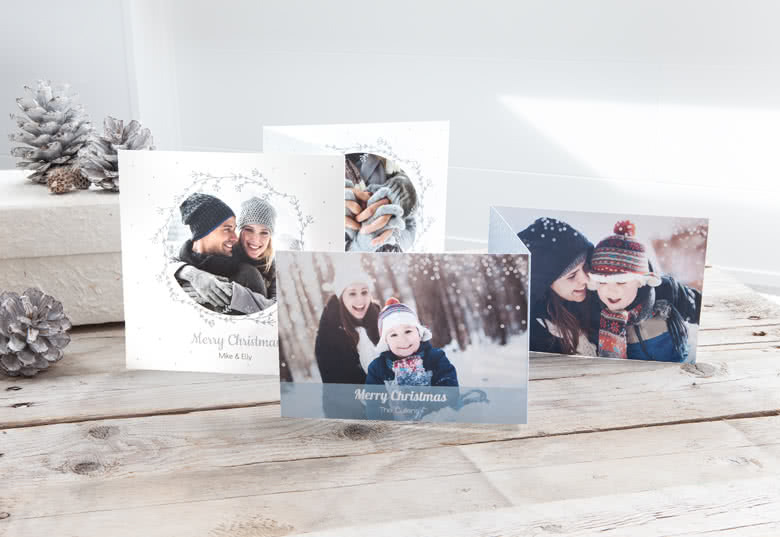 Add an extra touch when sending your personalised thank you card, personalised christmas card, birthday card or your wedding thank you cards by choosing this card with 6 pages. 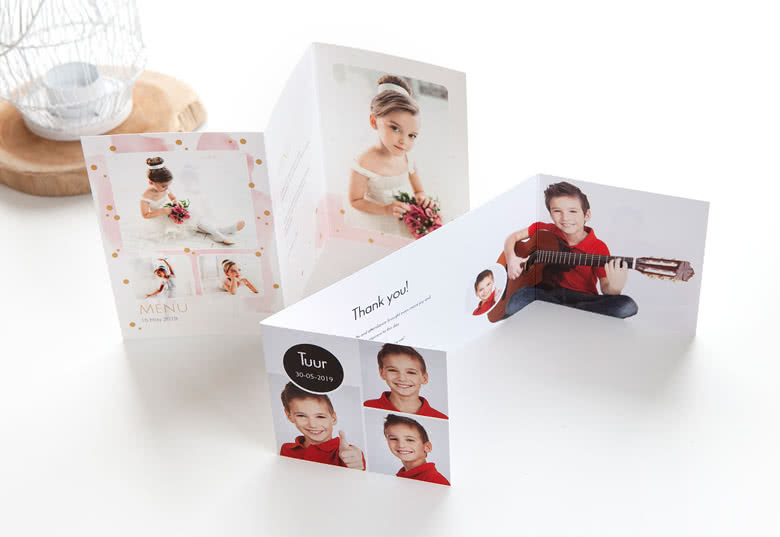 By adding your photo and text on all 6 pages you make your Photo Card really stand out.